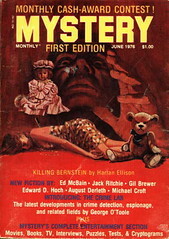 This issue will highlight stories from September of 1976 and 1966. "Cold waterfall of raw emotion, naked wire of pure decadent shock". 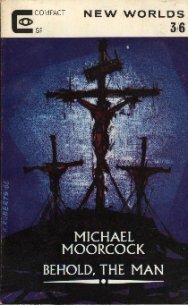 Such were the words I've chosen to describe this novella (and another one like it - "Catman") when I first read it in 1987. 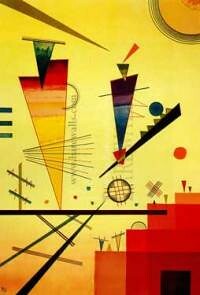 This "Jack Vance-like baroque space opera" reads like a smorgasbord of delectable (and some detestable) "delights" and a catalogue of gaudy styles and bold colors, in the vein of Russian avantgarde art of the Twenties, such as the paintings of Vasily Kandinsky (see example below). 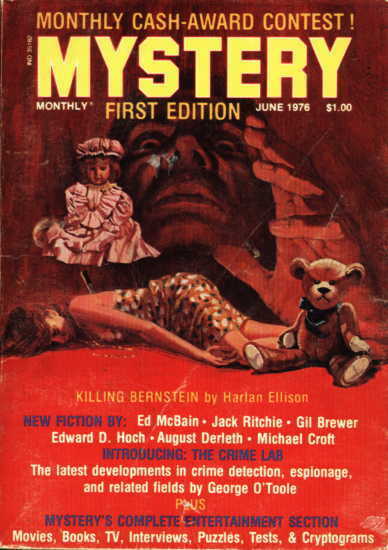 Sometimes I think that if you compress Ellison stories, squeeze "pop-culture sensibilities and selling points" out of it and hang it out to dry (to vanquish some self-indulgent tears and other excesses), then you will end up with... poetry of a strangely familiar kind. Mayakovsky, anyone? I'm partly joking, but... Ellison is an event, not a writer. It "happens to you" at some point in your life, and then you are never free from it. This novella deals with the creepy subject of stealing the mutant eyes of another person to better see (and supposedly enjoy) a decadent society, but in the end one can never satisfy the "lust of his eyes" and only would flood the gates of his heart to further insensitivity. Reading Ellison is quite the opposite of that. He cares, and make you care, even if you did not give the subject a second thought a moment before. 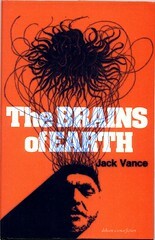 Certainly a brightest (and baddest) fiction of the Seventies. "Lonely Women Are the Vessels of Time"
This is an example of less edgy and more lyrical Ellison. By the way, the titles of his stories, put together, can make a poem of its own... but I am sure he knows this secret, and when he runs out of ideas (ha!..) he will publish it as a special edition slip-cased hardcover book. "Lonely women..." is a sad allegory, similar in its forlorn tone to "One Life, Furnished in Early Poverty", bringing the question of loneliness to the ultimate answer of "loving yourself more than your neighbour", and to the ultimate fact of the emptiness of an unsaved soul. Here is one summary of the plot: "Moving from one-night stand to one-night stand and leaving a trail of broken hearts behind him, the protagonist ultimately meets a succubus who is even emptier and more needy than he is." "Ironically, for Gilbert Snook who considered himself the human equivalent of a neutrino (a particle able to travel through the Earth without disturbing any other particle) it all started with the panic that followed the sighting of the anti neutrino planet as it approached Earth. 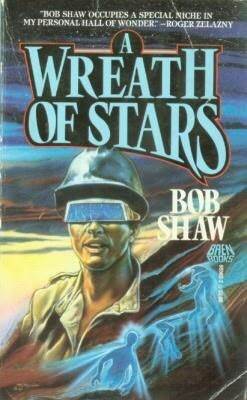 Earth was unaffected but Snook ended up in a small African Republic teaching English to diamond miners. Then the miners started seeing ghosts and Snook found himself at the centre of a bizarre and far reaching scientific discovery and in the middle of some very dirty political infighting." "A deadly Ice Age destroyed all most previous life on Earth except the freedom-loving Seafolk, who try to recover lost technology from the past while resisting a repressive Empire." 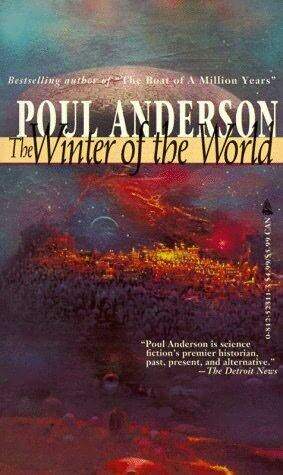 This is perhaps the weakest novel of Poul Anderson... completely passe. Famous alternate history tale: General Custer, commander of the United States' elite paratrooper brigade, meets his end at the hands of Crazy Horse and a squadron of vintage Confederate monoplanes at the Battle of Little Bighorn - as told alternately in the style of an official Army report, Collier's Magazine, and an unpublished excerpt from Mark Twain's journal. Somebody even compared it to Borges. 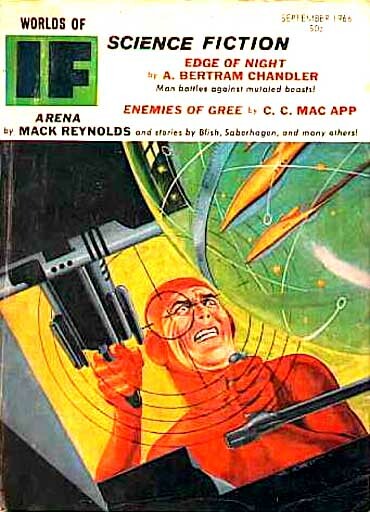 Perfect pulp-style space adventure, which could have appeared in "Thrilling Wonder Stories" in the thirties, and might've given Edmond Hamilton, Brackett and others a run for their money. A planet with an ecology gone berserk: there are huge predator slugs, murderous jungle monsters etc. A cyborg upholds interstellar law throughout this vigorous environment, making this novella a cross between "Robocop" and Harry Harrison's "Death World". All written in a crisp, imaginative style, clean and gorgeous in its wide-eyed wonder and action. One of the first SF thrillers I've read, a great substitute for the american "Planet Stories" pulps I missed as a kid. 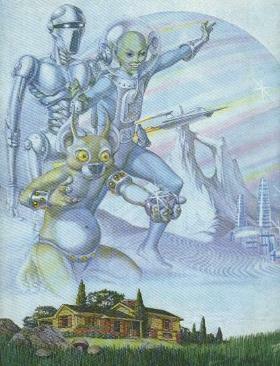 One of the best space-adventure collections of stories in history of SF. 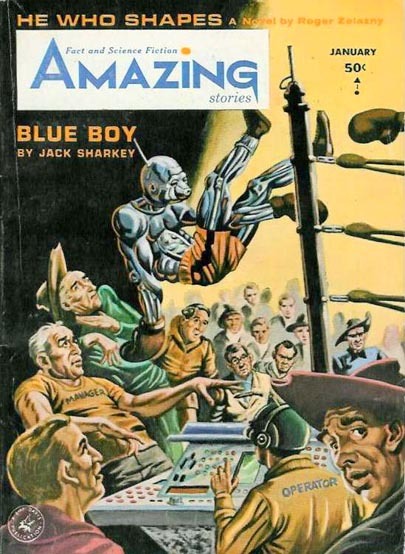 Incredibly spare, vivid prose combined with a level of excitement and wonder, which would have made the best American SF pulp mag from the Forties proud. I am truly happy to have been able to read that stuff in the original language. 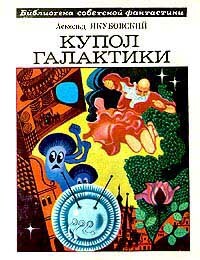 The full review of all stories will be forthcoming, but for now I only might say that somebody's gotta translate it (I'd do it if I had time), and it's a shame nobody knows about this writer in the West. Here is one story from that incredible collection "The Dome of the Galaxy". 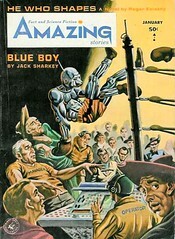 I read it only a couple of years ago, having read many wonderful planetary adventures before, but this story still rates with the best of them in my opinion. It sparkles with the quintessential wonder of a new, truly alien world. 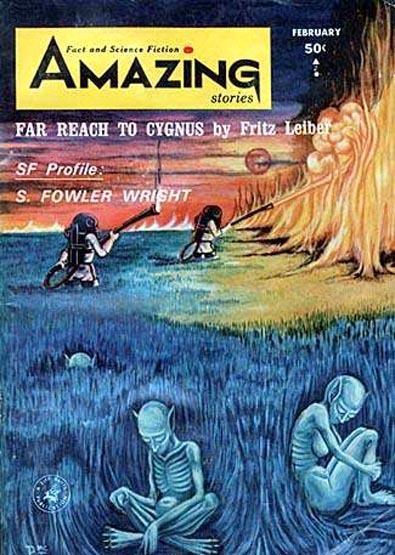 A top contender for the title of "Awesome Exploration Travelogues" in the blog (or magazine) of interstellar era, this tale is short and sweet, pure vintage "imagination candy". 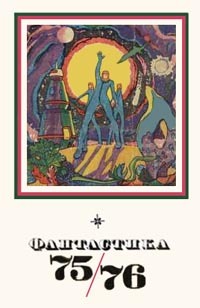 A very important novel, a triumph for the new imaginative style, one of the most readable examples of the "New Wave" and a great testament to the psychedelic era. 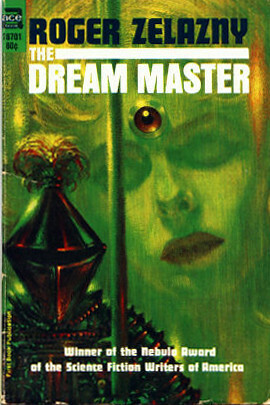 The dream-like quality of Zelazny's writing envelopes the reader and satisfies in itself, not much concerned with action, plot, or even with characterization. How can that be, you may ask? Because this novel is one step short of poetry, one bite short of a spaced-out mushroom experience, one chord short of Hendrix' guitar solo - take any number of other authentic sixties art experiences and translate it into writing. But it is not to be analyzed for plot and structure. It's loosely about a psychoanalyst, and a mechanic (Shaper) of dreams. In a warm womb of metal, his patients dream their neuroses, while Render, intricately connected to their brains, dreams with them, makes delicate adjustments, and ultimately explains and heals. 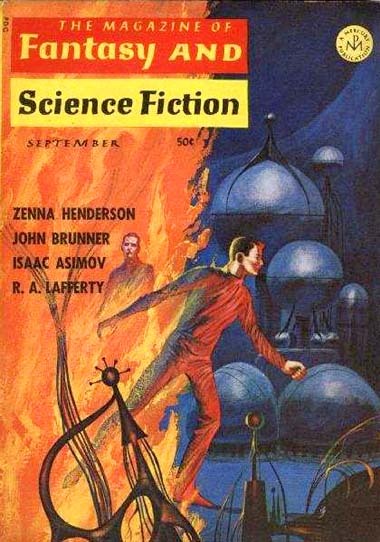 Things go wrong in the human mind, and Zelazny plots the doomed rollercoaster of imagery without any point, or destination - "art for the sake of art only". This is a small pop-art masterpiece with some psychedelic overtones. 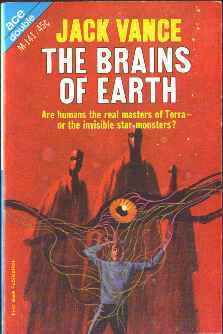 It feeds on paranoid ideas of the Fifties (aliens possessing our brains), embellishes it with cool descriptions of psychological and aural warfare (reminds me of "Final Fantasy" ghostly doppelganger entities), and reads like a gaudy poster in its simplicity of idea and plot. 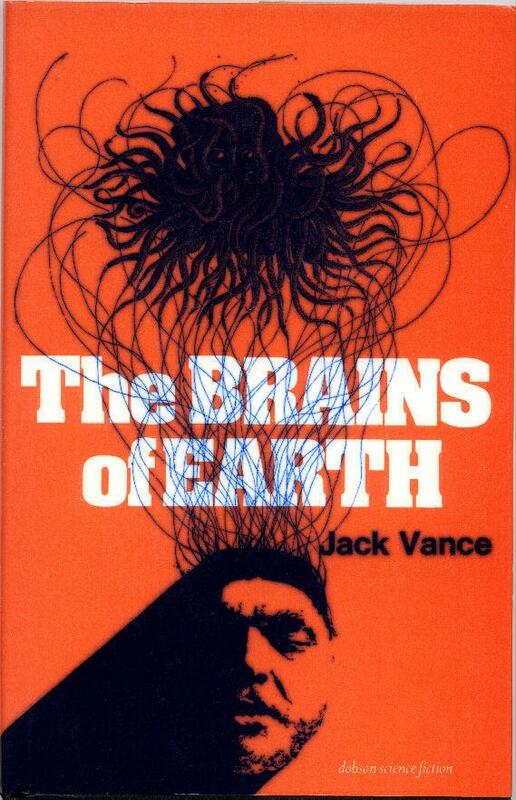 I often skipped many pages, to arrive sooner at the bizarre parasitic "brain" warfare sequences, which make this book to stand out from other invasion fare, and from everything else Vance has written. Solid SF story with a great Cold War paranoid feel and a wicked sense of humour. 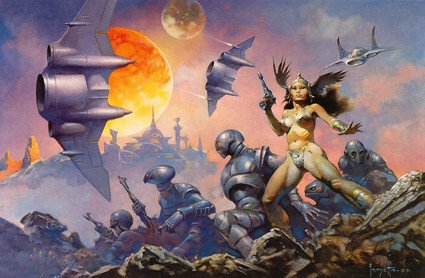 An over-populated future Earth has adopted total birth control (all girls are given biological treatment, and only a central computer can "undo it" to allow birth). Some nations has completely disappeared from the face of the Earth. Blocks of super-powers threaten each other with mighty (and henceforth absurd) bombs. All this is standard SF fare. But here comes the rub: over-populated conditions have de-sensitized humans to the point that... on the centennial of the Hiroshima bombing, the population wants to be entertained, so they make the ultimate fireworks by dropping another "vintage" atomic bomb from a "vintage" heavy bomber. And then a second one (for an encore!) on Nagasaki. A biting tale, characteristically wild for "New Worlds" of that period. "Delusion for a Dragon Slayer"
A simple guy dreams incessantly of being a swashbuckling sea captain and saving a lovely damsel. Suddenly he is transformed into such a hero and then ineptly proceeds to crash all possible expectations, disgracing himself in front of said damsel. An obvious moral is to be worthy of one's dreams. Here is what one reviewer has to say: "Mr. Ellison is proud of this one, and justifiably so. In what he calls an experimental style, he strives for mysticism through the Baroque and rococo. I'm afraid I can't comment on that. I can say that his attempt at density of image and layering of narrative succeed splendidly, coming fast and furious, and rarely giving the reader more than a moment to catch his or her breath." So much imagery, that I swallowed it whole (downbeat message notwithstanding) and liked it just for the cool fantasy quest content (it was even made into a Marvel comics later). "A neat, passionate parable, exploring what might happen if one were granted the opportunity to walk the walk after talking the talk." 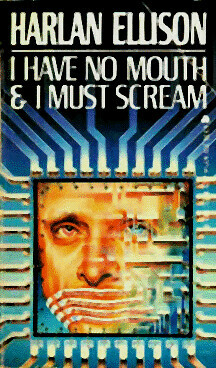 "For a Breath I Tarry"
A classic story about artificial intelligence (Machine) becoming, or dreaming to become natural intelligence (Human). 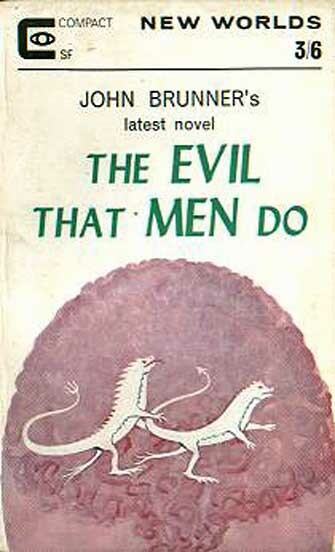 This theme was worked and re-worked many times, and by the end of Sixties could’ve become passe, but Zelazny wraps it in his patented word-magic, gives it philosophical (and even theological) depth – pitching the arguments of Job against the temptings of Faust) and ends up with a mature, imaginative story, a veritable masterpiece. A computer with a hobby to become man is perhaps an ultimate delusion. Something created cannot become the creator, no matter how it tries. An interesting analogy here: born again christians (being themselves created) CAN become one with Creator, spiritually speaking. It does not come from ourselves, but given from above. In other words, if a machine wants to become human, it has to break into the spiritual dimension first and ask the utmost authority, clear it with God Himself (as humans are not masters of themselves either, and do not have an authority to create a soul). And somehow we all know which answer such a machine might get. Here is the typical "Lafferty-yarn": perfectly skewed piece of nonsense, wrapped in a dead serious narrative with a brilliant idea in the center and an eye for cracked grandiosity. In this story he investigates a very peculiar geological phenomenon, mixing it with the dream-logic of typical tall tales. Check out this quote: "It is a continental fault coinciding with a noospheric fault," said the scientist. "The valley really is half a mile wide, and at the same time it really is only five feet wide. If we measured correctly, we would get these dual measurements. Of course it is meteorological! Everything including dreams is meteorological.... There is a clear parallel in the Luftspeigel sector in the Black Forest of Germany which exists, or does not exst, according tho the circumstances and to the attitude of the beholder. Then we have the case of Mad Mountain in Morgan County, Tennessee, which isn't there all the time, and also the Little Lobo Mirage south of Prisidio, Texas, from which twenty thousand barrels of water were pumped in one two-and-a-half year period before the mirage reverted to mirage status. I'm glad I was able to give a scientific explanation to this or it would have worried me." Some call Lafferty a genius, some dissmiss him as too oblique. As one reviewer says: "That problem is exacerbated by the fact that under superficial consideration he looks easy... readers and critics should make some effort to look beneath the hood to see what was what, otherwise his complexities--of both language and meaning--end up dismissed as just nonsensically bad ordinary writing. 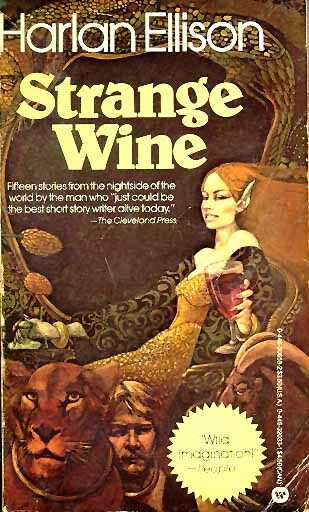 As a thirsty drinker expecting the taste of a soda pop might well spit out in disgust a mouthful of vintage brut champagne, so might an SF reader expecting typical SF reject vintage Lafferty." "The Face of the Deep"
Great space thriller from the "Berserker" series, which is surprisingly enjoyable pulp-style adventures, written in a hard-boiled, intense manner. Normally I do not read military science fiction, but this series stands well above usual fare. The enemy is impossibly strong and vicious, to the point that human effort seems to be almost irrelevant - so soldiers are forced to rely more on faith and ideas, rather than warfare. Berserkers are almost invincible killing machines spreading across the Galaxy, regarding humans as, well, just a little speck of biological matter. However, all stories end in human victory. Go figure (and pat Saberhagen on the back). Here a soldier wakes up in a transparent escape pod, realizes that he is also trapped in an asteroid field of some sort and that there is a Berserker trapped in this field as well. 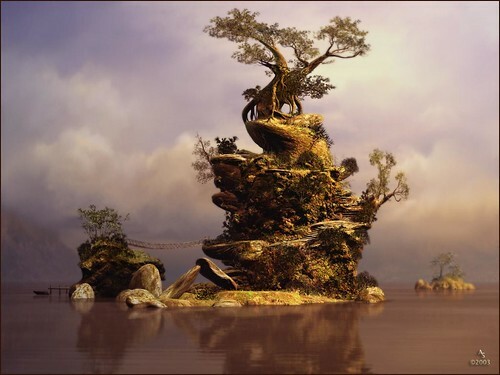 A tale of survival and a "battle of the brains" follows. Recommended. 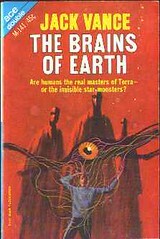 Piers Anthony was a lot more fun in the Sixties, even coming up with cool ideas from time to time. You can not have a wilder idea than this one: Galaxy-sized ghosts terrorize immense reaches of space. Anthony does not elaborate on how these ghosts came to be, but they are sufficiently ghostly and sufficiently... big. 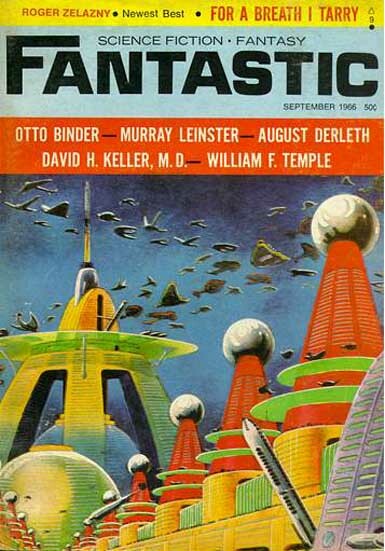 Overall, looks like SF readers had a good choice of fiction in September of 1966, with some stories even reaching the classic status. See you in the next "Spyglass" issue, which will cover the fabulous Fifties and Forties!